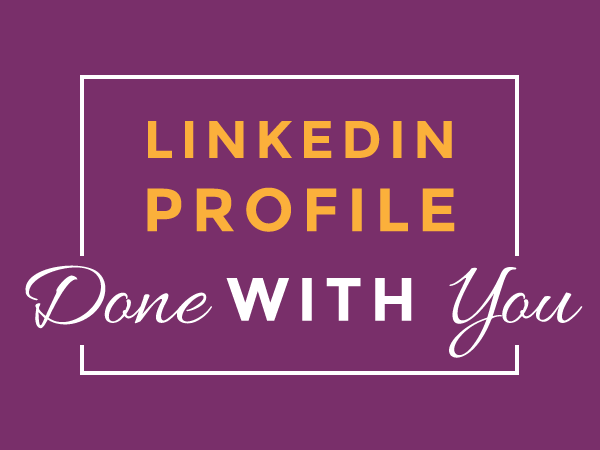 I can help you position yourself as an expert on LinkedIn & show you how to use the LinkedIn database to find your ideal clients. As a result you get the recognition you deserve & a steady flow of clients – with ease. get you more profile views because people find you in their searches – guaranteed! All three packages include personal one-on-one time with me. If you choose the ‘Done for You’ option I personally write the profile, after having done in-depth research. I never outsource any part to offshore copywriters or anonymous team members. 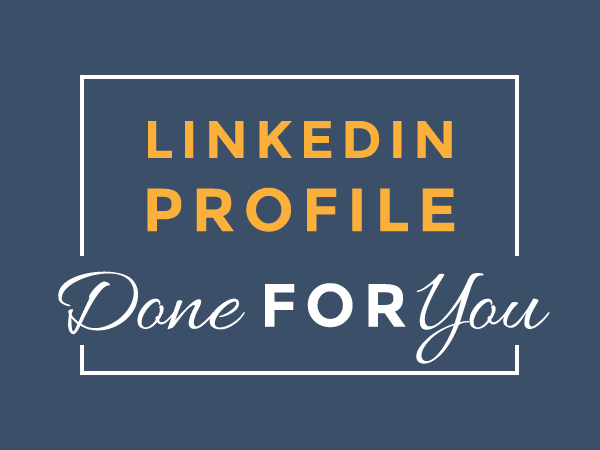 My LinkedIn Profile Done For You Package is the perfect solution if you are a busy entrepreneur or business owner who doesn’t have the time to focus on this. My LinkedIn Profile VIP Package is the perfect solution if you are a busy executive who doesn’t have the time to focus on this.